Today is a really exciting day! 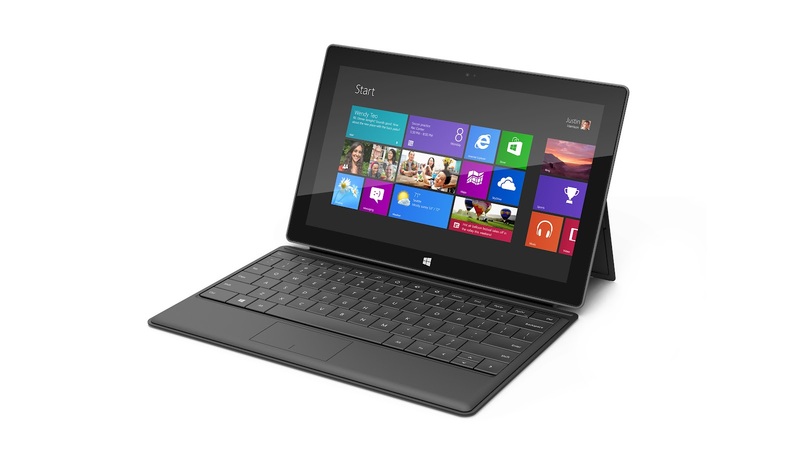 Microsoft just released its own new Windows 8 & Windows RT Surface device! Microsoft has a long history on mobile experiences and interconnected platforms. In the past decade the company did a lot of investment in natural user interfaces research, releasing top notch front end technologies for creating touch interfaces. 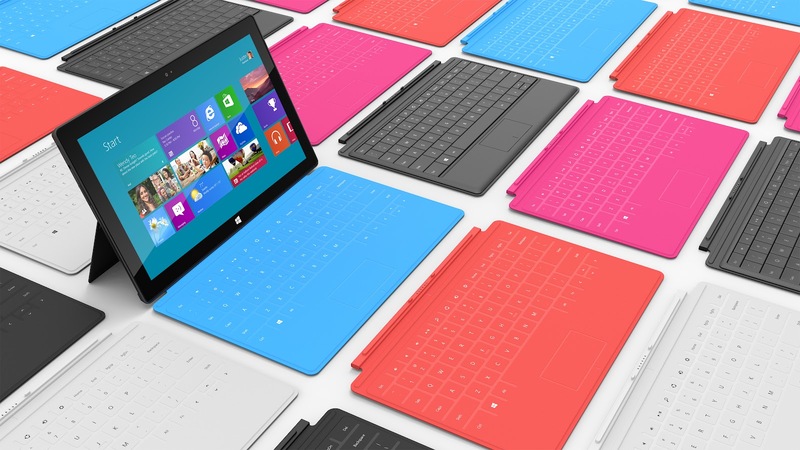 Surface has been the premium Microsoft’s product completely focused on the touch experience. Surface comes directly from Microsoft’s Research Labs. The concept stated to take form in October 2001. 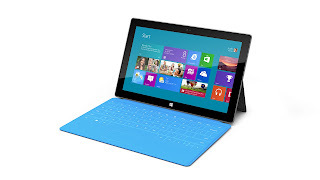 After five years, Microsoft released the first super version of the Surface table back in 2005, and then the second generation recently in early 2012. Although most people saw it as a failed consumer product, the reality is that Microsoft has been testing different technologies, hardware in software aiming to achieve a true interconnected seamless platform. Yes, they learned from previous failures (Microsoft was one of the first attempting interconnected platforms and mobile experiences), and certainly have learned from Apple, Google, Amazon and Facebook. Technologies like WPF, Silverlight, XNA and all the related technologies have been polishing, improving and evolving for the outcome that we can see today. I truly believe that this will change the game; it will bring more balance to the mobile and tablet market, and overall consumer experiences. Ok, that’s the inspirational intro, now check it out. Here's the Surface Site, and here is the Video. The Surface comes in two versions: Windows RT and Windows 8. Basically the same Windows 8 touch experience. The Windows RT version is lighter, runs on ARM, and can’t run the desktop mode. The Windows 8 version is a heavier, more powerful and runs both the desktop and the touch mode. I’d assume that Windows RT will be recommended for casual users, and the Windows 8 version for power users. You can get the tech specs here. The price hasn’t been announced yet, and is to expect that it will take a few months to get it, since we have to wait for the Windows 8 launch. However the new Surface will become quite a powerful and handy device in the Microsoft ecosystem, especially if you take into account that is expected that the next version of Windows Phone integrates even more seamlessly with Windows 8. Add the Xbox hub integration, the upcoming SmartGlasstechnology, the plans for Xbox to enhance its entertainment offering, and the cloud services and seamless synchronization of user information based on the unique Windows Live ID and you get the best interconnected platform in the market! And for those of you wondering about the PixelSense SurfaceSUR40 device, don’t panic. The hardware and the technology are still there, alive and kicking, and it won’t go away. Although some people might differ, I think that it was a good move to grab the “Surface” name for the tablet, and push the “PixelSense” name for the SUR40 device, since basically is PixelSense that drives the hardware experience. I’m really excited about the news. Since I started to work on the first version of Surface, I realized that Microsoft really needed to bring its capabilities to a portable device, exactly like the tablet they just released. The new Surface is not a big phone, or a small PC, is a full featured touch centric experience based on a completely new operating system. Windows 8 is not an upgraded version of Windows 7, is actually a new fast, fluid and responsive platform that provides a seamless ecosystem for the Windows devices. The best part for us developers? Is full C #goodness, no new language or skillset to learn, we are automatically touch centric Windows 8 developers. More on this to come!